Have you ever been stopped dead in your tracks trying to open drawings with disassociated, missing or corrupt X-Refs? The “Host Manager“ automatically opens problematic drawings by fixing or replacing corrupt, missing or unattached XRef files. It first searches for locatable Xrefs from multiple files to re-attach or bind them. Missing or corrupt files will be replaced to initially open the drawing and all issues are tracked and written to an “Error Log” for review. It will also alert the user of corrupt, unrecoverable or missing files by automatically preparing an E-mail for replacement of the blank proxy files temporarily inserted to initially open the drawing. The Host Manager can also automatically search hundreds or even thousands of drawings and sort them into Parent, X-Ref, Stand alone, Corrupt or Missing subsets in a matter of minutes. 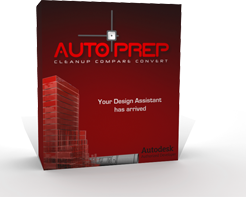 The Host Drawing Manager can be purchased as a separate stand-alone utility or integrated within the AutoCAD program to completely eliminate file failure frustration and time consuming drawing file type categorization.